Audie Award Winners and Finalists Available! The Audies – the Oscars of the audiobook industry – are awarded annually by the Audio Publishers Association. Many of the 2019 award-winners and finalists are available at the library and the library staff have conveniently pulled together this content for you to checkout and enjoy over Spring Break and beyond. On the display table in the library lobby, there is a collection of 2019 award-winners and finalists available on compact discs. The CD offerings will be highlighted until Thursday, March 7th, when they will be reintegrated with the Popular Audiobook collection on the main floor. We’ve also created an online Audie Awards Display of OverDrive downloadable titles for you. As you pack up to go home for the break, remember the OverDrive collection is available for you to enjoy, anywhere, 24×7 on any device. Not familiar with OverDrive? Take a look our OverDrive page. To view the complete list of the Audie Award winners and finalists, visit the Audio Publishers Association. Comment on this post to share your own recommendations. Are we missing a title you think we should have in the collection? If so, just fill out the Suggest a Purchase form. December is a great time to highlight the Library’s OverDrive Collection. As you pack up to go home for the holidays, remember the OverDrive downloadable collection is available for you to enjoy on break, anywhere, 24×7 on any device. This collection includes thousands of fiction and nonfiction titles including many bestsellers and award winners. Simply click into OverDrive to view our newest additions or to browse the ebook and audiobook collections by subject, format or genre. You may browse the available titles without logging in. You only need to log in when you decide to borrow a title. This service is free to you with your Bentley e-mail address and network password. All titles will automatically expire at the end of the lending period which is 21 days. There are no late fees and if your time runs out, you can just borrow it again. If a title is checked out, place a hold and you are e-mailed when the title is available. For titles with multiple holds, the Library will purchase additional copies decreasing wait times. The plus sign under a title adds to the title to your personal wish list and you can use your wish list to pull up available content when you have the free time to enjoy it. Curated lists, available from the OverDrive homepage, include: Great American Reads, Newest Additions, Most Popular, Try Something Different, Banned & Challenged Books, and Presidential Biographies. Just scroll the main screen to view these curated lists. Each title is selected and added to the collection by your Bentley Librarians, and new titles are added each month. Bentley students, faculty & staff can suggest titles for purchase using the Suggest a Purchase form. 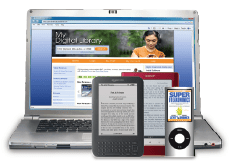 To get started enjoying ebooks & audiobooks on your device visit Getting Started with OverDrive. If you need help with this service, help is always available at the Reference Desk and there is a special Overdrive Winter Break Reading session scheduled from 11 to noon on Reading Day in Group Study Room 102. Just bring your device and we’ll get you set up. Database of the Month provides a very brief introduction to a useful website or Library resource, highlighting key features you should know about. If you would like more information about this resource (or any of the library’s databases), please contact us for research assistance. If you would like a demonstration of this resource for a class, please schedule a research instruction class using the instruction request form. The Bentley Library’s collection of audiobooks is available for all your summer road trips! Weekend coastal drives or sitting in traffic waiting to get to the coast, in either case, listening to a good narrator makes the trip more enjoyable. Audiobooks are also great for taking long walks, gardening, sunbathing or just hanging out on the lawn. With 1300 titles available through OverDrive and 600 CD titles available in the Audiobook Collection, there really is something for everyone. The Four: The Hidden DNA of Amazon, Apple, Facebook and Google by Scott Galloway. Not sure of what to choose? Just stop by the Reference Desk, call, or chat with us online and we can recommend a title to start with. Want something we don’t have yet? Place a Suggest a Purchase request. For help using OverDrive, view their Getting Started page or visit the Reference Desk for assistance. For Pinterest users, the New Audiobooks Pinterest board alerts you as soon as a new CD title is added to the collection. Commute getting you down? Going on a summer road trip? Why not check out an audiobook to listen to! We’ve pulled together a selection of nonfiction titles especially for you. This display covers a broad variety of topics including: psychology, business, history, sports and science. This display also features some biographies and true adventure accounts. Can’t get to the Bentley Library this summer? All these titles are also available through Overdrive, just download the app, check out the title and start listening today. Great way to enjoy your next trip to Bentley or to anywhere. As June is Audiobook Month, I’ve been pondering why I enjoy them so much. They save time. I can listen to them in the car [commuting or on road trips]; walking my 10,000 steps; waiting around for music lessons and the other kid’s activities to be over; de-cluttering the house; folding laundry and the ever popular, Yard Work. These are all activities that I really don’t like and listening to a book can makes the task less odious. You’ll note that when I recommend an audiobook, I’ve included the reader in this blog write up. A good audiobook is all about the reader. A good reader makes the book a great listening experience. Sometimes I’ll explore a book just because I enjoy listening to the reader. Who knew that cholera could be so fascinating! Alan Sklar makes it so in Steven Johnson’s The Ghost Map. A Walk in the Woods [Authored & Read by Bill Bryson]. Stieg Larson’s The Girl Who Played With Fire [Read by Simon Vance]. Audiobooks are a great way of refreshing your memory in anticipation of the next book in the series or the next movie release. I can’t wait for the next book in the Lisbeth Salander series called The Girl in the Spider’s Web which will be out in September 2015, so I’m listening to the earlier novels now. The movie, A Walk in the Woods, is also coming out in September, so it might be fun to listen to the book first. Well, if you’ve never tried an audiobook, I hope that this post has encouraged you take a chance on one. If you already are an audiobook fan, I hope you enjoy these suggestions. If you have any suggestions of titles you’d like the Bentley Library to consider purchasing, please let us know. Your recommendations and feedback are always welcome. As I am always looking for the next great reader and stories to follow, feel free to drop me a line when you find one. Happy summer listening. Want more audiobook title recommendations? Check out the Bentley Library’s Top 10 listings. Did you know that we now offer more than 1,200 downloadable eBooks and audiobooks via OverDrive? The Bentley Library’s OverDrive collection includes fiction and nonfiction bestsellers, award winners, classics and perennial favorites. Current Bentley students, faculty and staff can borrow eBooks and audiobooks from OverDrive at http://bentleydownload.lib.overdrive.com/ using a Bentley email address and password. New titles are added monthly, so check back often. OverDrive eBooks and audiobooks can be enjoyed on all major computers and mobile devices, including iPhone®, iPad®, NOOK®, Android™ phones and tablets, and Kindle®. Many eBooks can be also read immediately (no download required) on any device with an internet browser. Bentley users may checkout up to five OverDrive titles at a time for a borrowing period of 21 days. Titles will automatically expire at the end of the lending period, so there are no late fees! If you are new to OverDrive, check out their Getting Started page for information and assistance. Enjoy! It’s been a couple of weeks since the launch of the library’s downloadable books service and we’re very happy to have received such a positive response. We’ve already added over 150 new ebook and audiobook titles to our collection to meet your demand, and we’ll continue to add new books every month. No RSVP is required – just drop in to our classroom (room 11) and we’ll be there to lend you a helping hand! If you bring your device with you we can help you with the initial set-up or troubleshoot any problems you’ve been having. We hope to see you there. Whether you’re spending time in the car running holiday errands or strapped in for a long-distance trip to visit friends and family, the time will pass much faster if you’re listening to an audiobook. 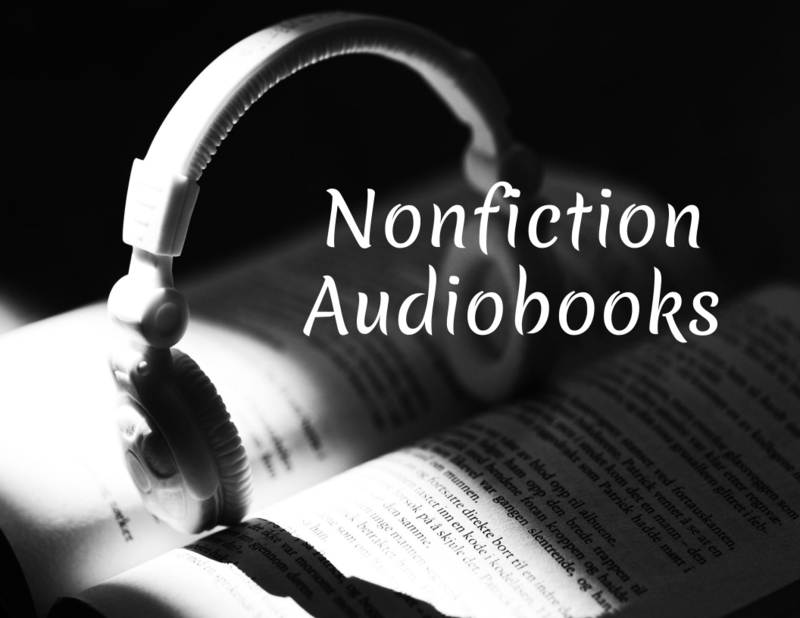 We have a great collection of popular fiction and nonfiction audiobooks in CD and digital player formats. Need help finding one? You can browse our recent acquistions, view a complete list of titles sorted by publication date, or use the catalog to search for a specific title or author. Happy travels!